Stopped working hangs on adding a list. Uninstalled multiple times. Russian development perhaps? Finicky data entry, no way to turn maps into directions, 2-factor auth sometimes takes several tries. Like another reviewer, I can’t add a list number onto my iPhone 6s. Have reinstalled several times but it still doesn’t work. Very frustrating to keep getting the message that “an unknown error occurred”. The minivan site doesn’t provide help either. Why doesn't it remember your password? It doesn't remember your password and I usually have to log in several times. I’ve worked on many campaigns and I’ve always had great luck with minivan. Although I would like to see there be an quicker way to mark houses and communities “inaccessible” and I would also like to see a more accurate GPS location of houses on the map. Otherwise, no complaints! I think this app works for what it needs to do, however, I think that it's a serious oversight to not have the ability to organize names or houses according to distance implemented into the app. I have tried many Times to change my password, but the email to reset never arrives. I have tried to logon several times, but the logon page just reload again and again. There is no contact mechanism to ask for help! Where do I go to find help? 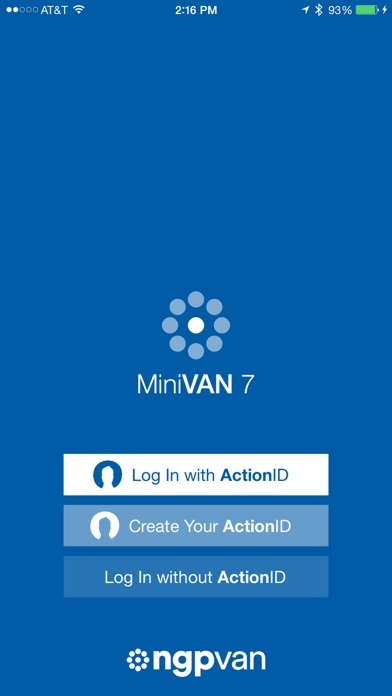 I’ve worked 5 campaigns and have used miniVAN for all of them, I really liked that you updated it so people can canvas in pairs. The only thing I’d like to see is some way to mark multiple houses as inaccessible, that way I don’t have to waste 10 minutes marking 50 doors in a gated community. It's full of a ton of random abbreviations without explains what they stand for as far as details on registered voters. Even the email preferences are a series of letters and numbers. Spell it out, of at least have a key. Party affiliation should be right on the list view. Takes too many clicks to find that out. Also, when you don’t contact someone it’s easy to indicate why and it shows up, but when you do contact someone it doesn’t want to update and show that fact. Also, you need to be able to filter by party affiliation. 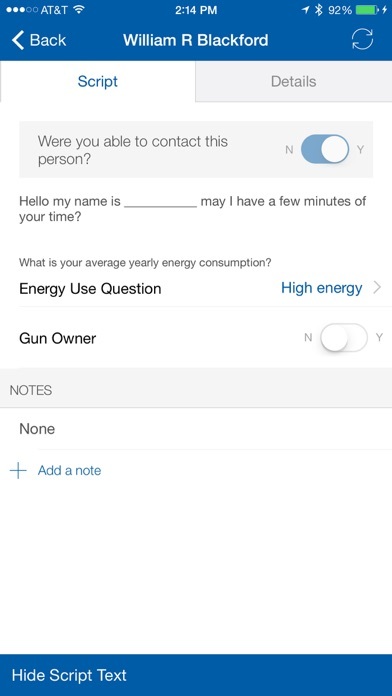 I have used this app several times; way better than paper. Easy to use, and I’m 68. I would like a few bells and whistles for encouragement. Halfway through send a message, like “Congratulations. Halfway there. Keep going.” When 10 houses from done, let user know in case thinking of giving up. At the end some balloons or fireworks or stars. With paper you can see your progress and how much is left. With this you have no idea. It would be nice to show tracking in the map so it is easier to get your bearings. A compass on the map or having the map orient to the direction that you are traveling instead of have the top of your device be North all the time would help. 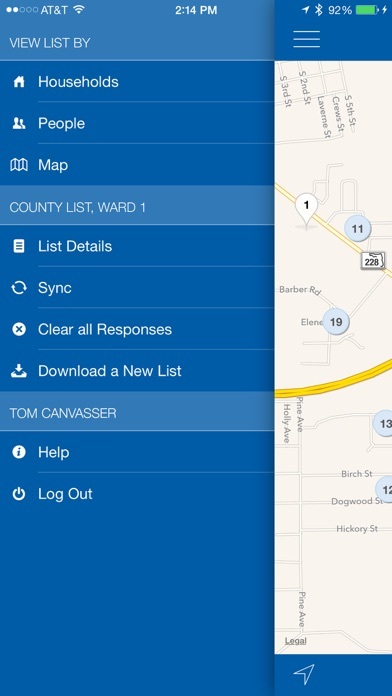 Other than that this is a fantastic app for canvassing. I thought the app was supposed to keep all the data, but after I input the data and hit sync, all my data disappears -- so I have to use a paper list to keep track of where I went and who I contacted. 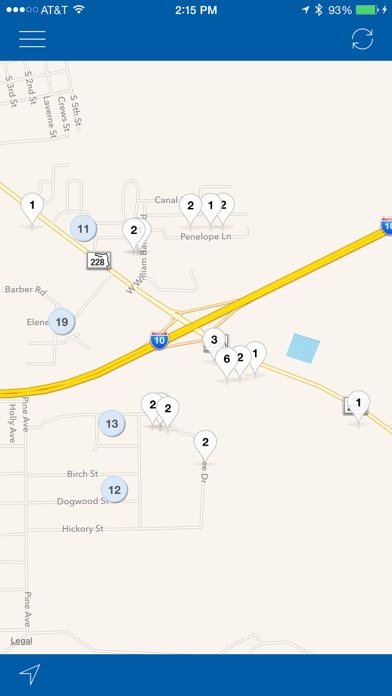 Pros: way easier for the canvasser to identify prospects and enter data, than using paper lists. WAY easier for the field organizer. Cons: Randomly logs me out, sometimes several times an hour, which can be a major problem canvassing in areas with limited cell service. This bug has persisted through at least six updates. Have to switch apps to navigate. 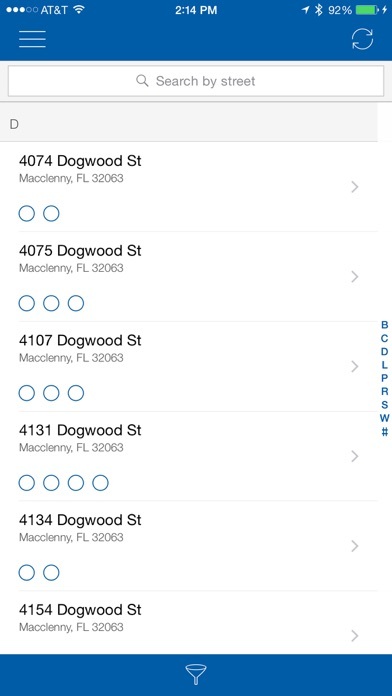 This app really helped me canvassing today. Once I got the hang of it, it was great. However, the maps portion really needs fixing. It was pretty good east-west, but consistently off by 2 blocks north-south.